Almost every question about the Automation Center is caused by the fact that the Automation Center does not seem to send the emails as usual. Here are some possible causes. Every Automation needs a trigger. 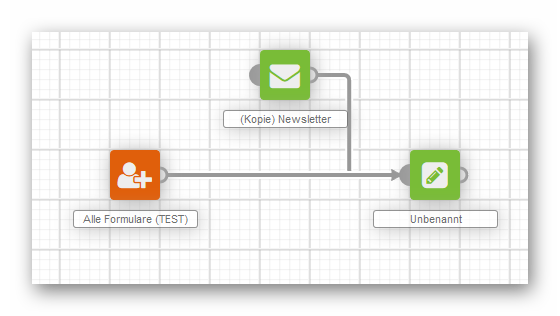 Triggers are events and actions such as a newsletter subscription, purchase of a product or a calendar event. If you have set a trigger, please check the connection between this trigger and the next element of the workflow. Sometimes, there only seems to be a connection because e.g. two lines cross. Analyze this via clicking and dragging. An Automation is only sent if it is activated. You can find the button for activating the Automation in the upper right corner. In rare cases, it may happen that an email is not set correctly. 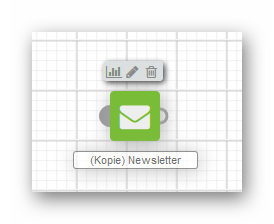 To check this, click on the pencil icon right above the email. The mailing is only set correctly, if there's an orange frame around the email. 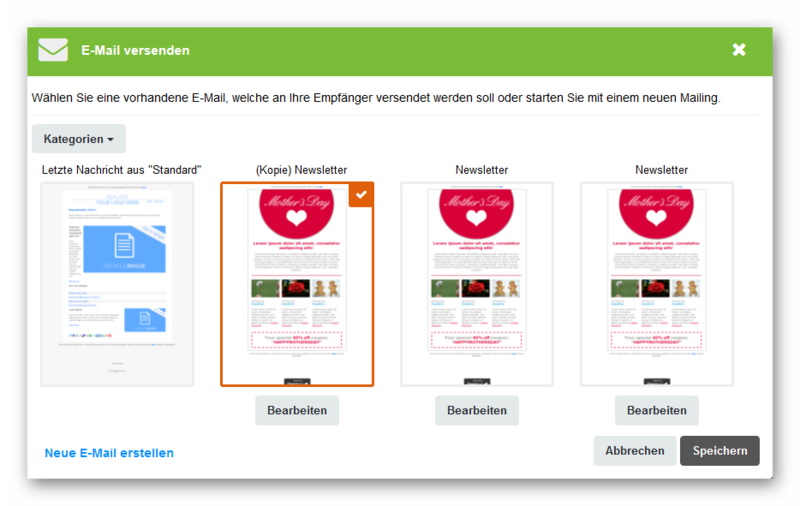 If there's no orange frame, please select the right mailing and click on "Save". When you're working with recipient actions that measure a click or open, it may happen that this action can't be measured correctly and all recipients continue the Automation on the "false" path. 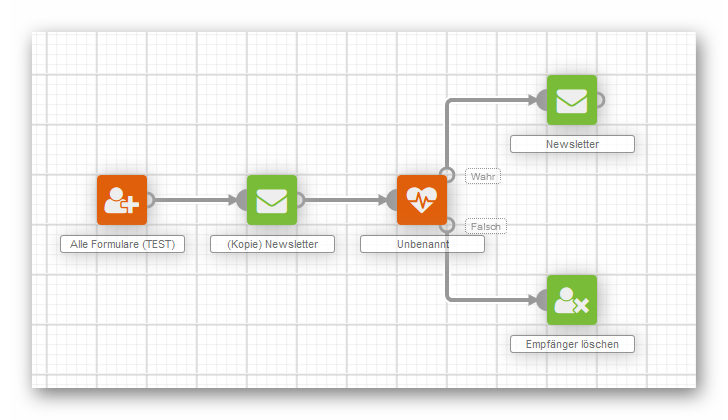 Although a recipient has opened the email or clicked on a link, they don't get the second email of the workflow. This is usually due to data protection compliance. You then have activated date protection conformity in your account under [Account] - [Settings] - [General]. By activating data protection conformity, you account is 100%!d(MISSING)ata-protection-compliant. Data of recipients who click and open are anonymized in the reports. The activation also prevents the collection and processing of complete IP addresses. Anonymized also means that details on who opens an email or clicks a link are not recorded. As this is not measured, all recipients automatically follow the "false" path. To check if an email has been sent, please change to the recipient profile. Go to your account and click on [Lists] and switch to the respective list. Now click on the recipient and then on the button [Activities]. There you can see if your mailing has been sent to this recipient or not. If the mailing has been sent but never arrived the inbox, the email most likely ended up in the spam folder of the recipient or was deleted by the spam filter. To improve you deliverability, please read through the following tips and tricks.